Is it ADHD? Is it ADD? Is it ADHD? Is it ADD? What’s the difference? Both Paul and Jennifer share a very common confusion about ADHD: What are the symptoms of ADHD? 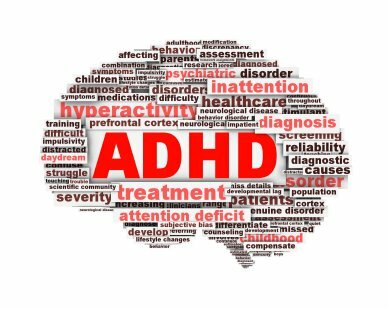 What is the difference between ADHD and ADD? How do I know which one I have? To help in answering this, it’s important to know that The American Psychological Association (APA) has recently published a new guide detailing what a person must be experiencing or have experienced for the diagnosis of ADHD. In this manual, the Association uses the term “ADHD” as an umbrella term to include both ADD (inattentive symptoms) and ADHD (hyperactive/impulsive symptoms). Combined Presentation, which includes symptoms of inattentive and hyperactive-impulsive. Often fails to give close attention to details or makes careless mistakes in schoolwork, at work, or with other activities. Often has trouble holding attention on tasks or play activities. Often does not follow through on instructions and fails to finish schoolwork, chores, or duties in the workplace (e.g., loses focus, side-tracked). Often has trouble organizing tasks and activities. Often avoids, dislikes, or is reluctant to do tasks that require mental effort over a long period of time (such as schoolwork or homework). Often loses things necessary for tasks and activities (e.g. school materials, pencils, books, tools, wallets, keys, paperwork, eyeglasses, mobile telephones). Often fidgets with or taps hands or feet, or squirms in seat. Often runs about or climbs in situations where it is not appropriate (adolescents or adults may be limited to feeling restless). Often unable to play or take part in leisure activities quietly. Is often “on the go” acting as if “driven by a motor”. Often blurts out an answer before a question has been completed. Often has trouble waiting his/her turn. The “Combined Presentation” is when an individual has symptoms of both inattentive and hyperactive-impulsive types of ADHD. Is often easily distracted (both of which can lead to running late). Often fails to give close attention to details or makes careless mistakes. Paul recognized that he has a number of symptoms of the ADHD “Predominantly Inattentive” subtype. However, for Paul to have the correct diagnosis, he needs to go to a doctor, preferably one who has experience in treating ADHD, for an exam, history, and perhaps testing, if he wants to have a definite diagnosis. The checklist is helpful in becoming aware of the symptoms that might indicate a diagnosis of ADHD, but a doctor or other health provider with a specialty in mental health needs to make the official diagnosis. With Jennifer, I assured her that she and her doctor are probably both correct. For some time, she’s known that she has symptoms of what used to be called ADD. Her symptoms haven’t changed, only the terminology has. Due to the recent change in terms used to describe ADD and ADHD, her pattern of symptoms—similar to that which Paul has—is now called the “Predominantly Inattentive” presentation of ADHD. She can check at her next medical appointment, but it’s likely that her doctor is just using the newer terminology for ADHD—terms which includes symptoms of inattentive, hyperactive-impulsive, and combined manifestations together under one broad, umbrella term: ADHD. Is it ADHD or ADD? According to the new criteria and language used in the diagnosis, ADHD. To distinguish between the different types of ADHD, using the new diagnostic terms it would be ADHD “predominantly inattentive” if you lack the restlessness or hyperactivity, ADHD “predominantly hyperactive” if you notice you have the restlessness or fidgetiness, and ADHD “predominantly combined type”, if you have a combination of the two. What type of ADHD are you? Let me know by replying to this blog…I’d love to hear from you! American Psychiatric Association: Diagnostic and Statistical Manual of Mental Disorders, Fourth Edition, Text Revision. Washington, DC, American Psychiatric Association, 2000. 10 Responses to Is it ADHD? Is it ADD? Very helpful article, Laurie! I was not aware of recent APA change. Thanks for the update Laurie. ‘They’ can change the diagnostic name however it will take a lot longer to the change the ‘consumer’ names: ADD and ADHD. When I speak, I use the term ADD instead of ADHD because it’s easier for me to say. I was told that hyperactivity can be associated with thoughts vs. physical action. So for example, you might be moving through many different thoughts, jumping around, and not able to focus, but be somewhat low in energy. I have had the fidgety symptoms for more than 20 years … can’t ever sit still. My leg or foot is always bouncing, even when I am laying in bed. I have done this since I was a child. I feel like I have other symptoms of ADHD, but when I brought it up with my primary doctor, his response was “you don’t just develop ADHD as an adult.” I tried to explain that I didn’t think it just developed, but that I only recently learned the symptoms. Anyway, I get a lot of benefit out of the tips, tricks, and strategies that you and other coaches provide. So my self-diagnosis is that I have ‘ADD tendencies’. Thanks for your coaching and helping people like me learn about ways to cope and manage in every day life. Apple is definitely going to have to increase marketing spend, said Bryan Wang, a Beijing-based analyst with Forrester Research. A month later, the government announced another batch of cash, food and material aid and donated 2 million U.S. dollars in cash to the World Health Organization and the African Union. The report, the first blue book on overseas Chinese professionals released by the China Academy of Social Sciences, shows that the group grew to around 4 million last year. I (according to this article anyway) apparently have the “combined presentation” form of ADHD. Police are in the process of compiling a list of websites similar to Agora Market. Ordering by check Mail a check payable to Public Citizen to: Health Letter 1600 20th Street NW Washington, DC 20009 Health Letter Cumulative Alphabetical Subject index View a comprehensive list of subjects covered in Health Letter from its first issue in 1985 through the present. I’m in love with this course and am having a fabulous time studying with it.